If you love Christmas shopping, don’t forget that Lahloo will be at Cowley Manor on the 23rd of November for an amazing evening of boutique shopping! The stunning and very chic hotel in the Cotswold countryside is beautiful at this time of the year, and the evening will be full of gorgeous gift ideas and seasonal treats, including mini-spa treatments and of course our selection of teas! With exclusive brands, great music, Christmas cocktails and a fabulous fashion show, it will certainly be a unique shopping experience. Tickets are £7.50 in advance or £10 on the door and they include a glass of champagne and a mince pie. All ticket profits will donated to Winston’s Wish, the charity for bereaved children. 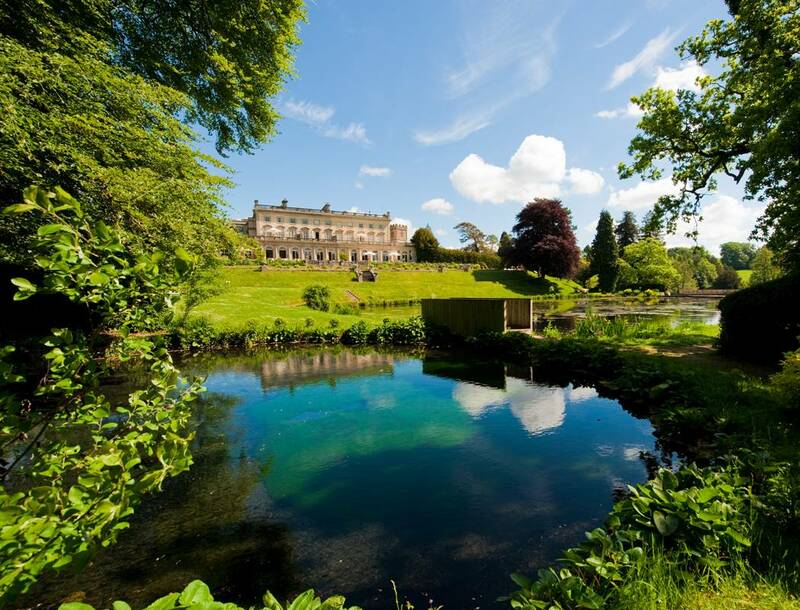 So if you want to book in advance you can visit the Cowley Manor website. Hope to see you there! So, it’s finally the school holidays and you’re winding down. Hopefully you’ve done all your Christmas shopping and you can just enjoy some time with your little ones. Why not make this berrylicious brunch to start the day. Then get them wrapping presents before settling down to a really good film. Enjoy a relaxing few days before Christmas. PS By the way Shrek is on BBC 1 on Thursday afternoon so it could be an afternoon on the sofa in front of the fire with a pot of Vanilla Mist and a few mince pies. 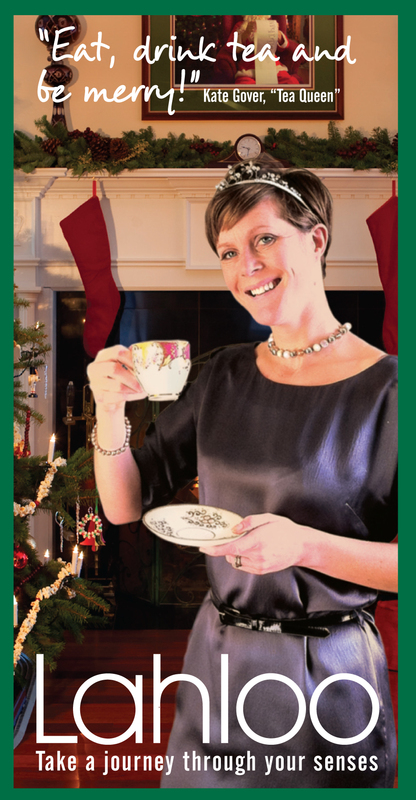 Eat, drink tea and be merry! Tea is a wake-up call to the senses! It’s cosy on a cold day, refreshing on a hot day, uplifting when you’re down in the dumps, calming when the stresses of life get on top of you, revitalising when you need a pick-me-up and nourishing from the inside-out! Oh and when it’s the good leaves, it tastes great too! In a nutshell, it’s pretty fantastic stuff! So for 2011 make Lahloo loose leaf tea part of your everyday life. Best wishes for Christmas & Happy New Year! With all the news about delayed deliveries and thousands of presents being stuck in warehouses and of course the very wintry weather we’re having, we thought we’d update you about Christmas ordering with Lahloo Tea. 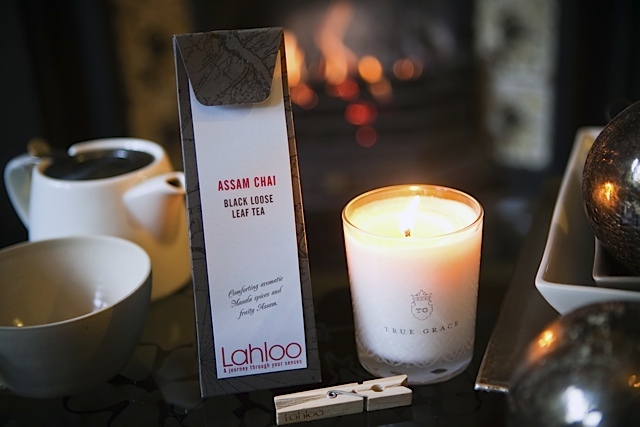 There is still just about time to place your order and make sure that someone special has their beautiful Lahloo Tea in front of the fire on Christmas Day. Please place your order before midday tomorrow, 21st December to make sure. And to help we are upgrading all your orders from now until 21st to a next day service (only UK). All orders placed before midday will arrive with you the next day*. All orders placed after midday will arrive 1-2 days later. *But please be aware that the recent bad weather may have an effect on the delivery time in your part of the country. We are working closely with our carriers to ensure your gifts will arrive before Christmas Day. 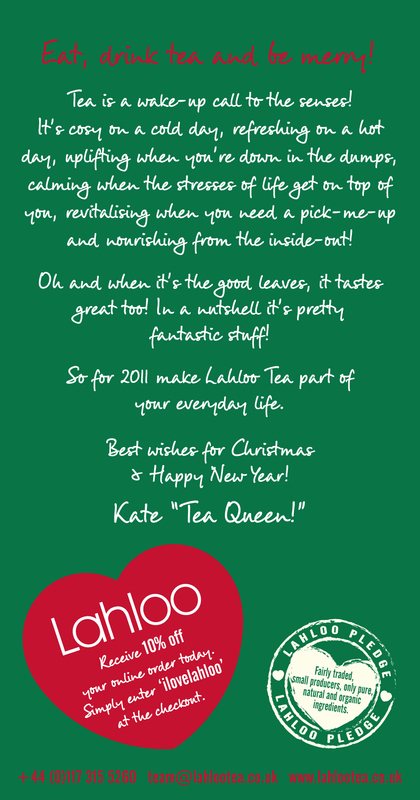 Give someone you love a Lahloo Tea moment! And today only, Monday 13th December, we’ll pay the postage! These beautiful gifts are inspired by those moments in life that are made for tea. BREAKFAST IN BED Lahloo Breakfast tea, 2 egg cups and marmelade – serve in bed with a warm friend and a nice hot cup of lahloo tea! TEA & BISCUITS Lahloo Earl Grey and delightful all butter bites with a subtle zing of lemon- the perfect excuse for a natter over a cup of lahloo tea. COSY TEA & CANDLE Light a candle, make a cup of tea and curl up in a huge armchair! An evocative aroma of a blazing fire burning huge logs from an old cedar tree. Get cosy! BLISSFUL TEA & CANDLE Run a bath, read a book, eat chocolate – soothe the senses. A beautiful floral, woody aroma of the rambling tea rose outside the cottage door, a flower pressed into a scrap book. Bliss! FIRESIDE CHRISTMAS TEA Evoke memories of your favourite Christmases with warming winter spices blended with the woody aroma of the fire. A real treat! Merry Christmas! TEA & SIMPLICITY The ideal gift for any tea lover at home, work or play. Christmas for me is all about giving but it can be really tricky to find that special gift in the usual mayhem of Christmas shopping. It’s also really cold out there at the moment! So if you fancy giving something a little bit special this year and you’d really like to stay in the warm, how about making gifts. There’s nothing better than a jar of homemade ginger nuts to go with a pouch of Lahloo Tea. We’ve even gone to the trouble of giving you the recipe! Have fun (especially licking the spoon)! And to reward your hard work, for today only, with every pouch of Lahloo Tea you buy we’ll give you a rather stylish Lahloo Tea caddy absolutely free! The perfect tin to pop those biccies in and for storing Lahloo Tea when they’ve all gone! Buy Assam Chai , Amber oolong or even Green Mulberry – just the thing to go with your home-made ginger nuts. And give someone you love their own tea and biscuits moment! They’ll love it!